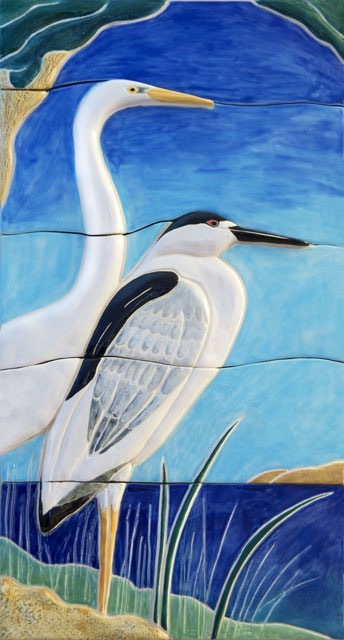 Birds are by far my favorite subject, most commonly egrets, herons, chickadees, hummingbirds, and song birds. 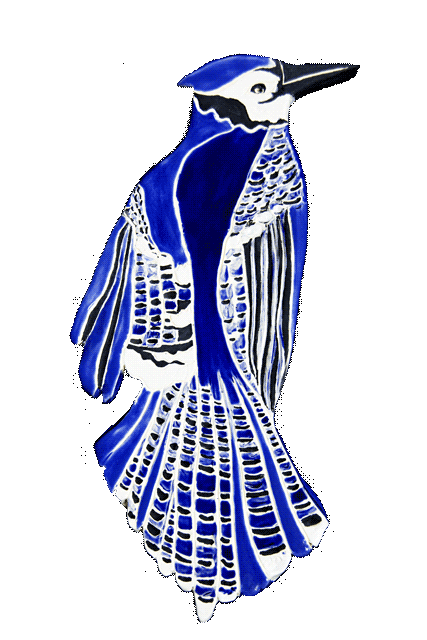 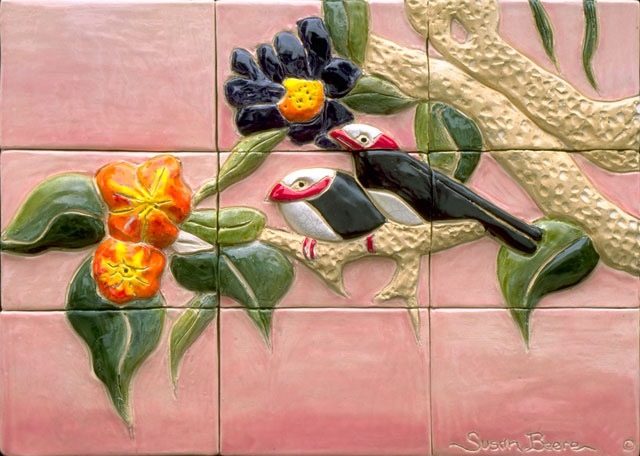 Bird tiles are also a frequent request for commissions. 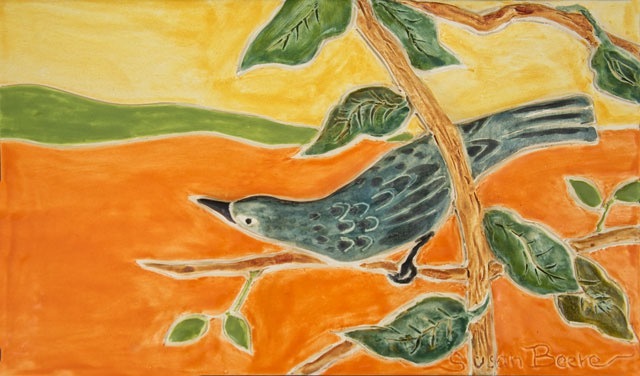 I think a lot of people find art with birds in it to be reassuring, restful, and calming. 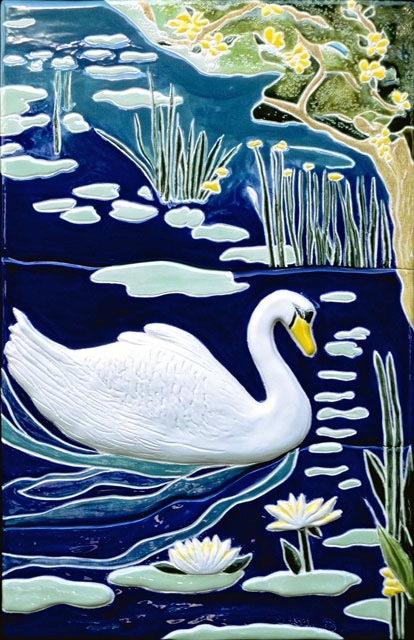 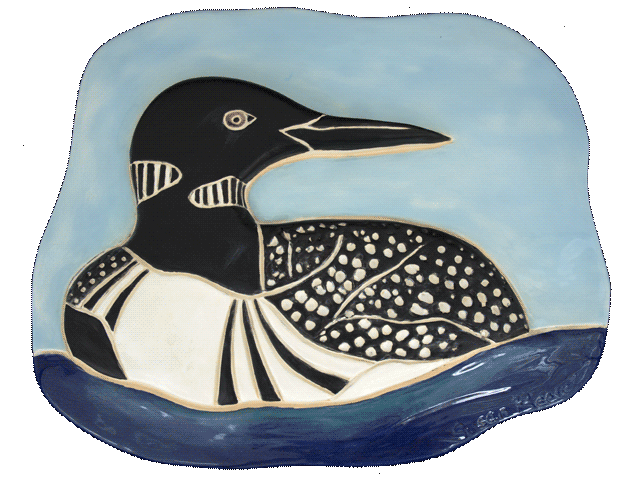 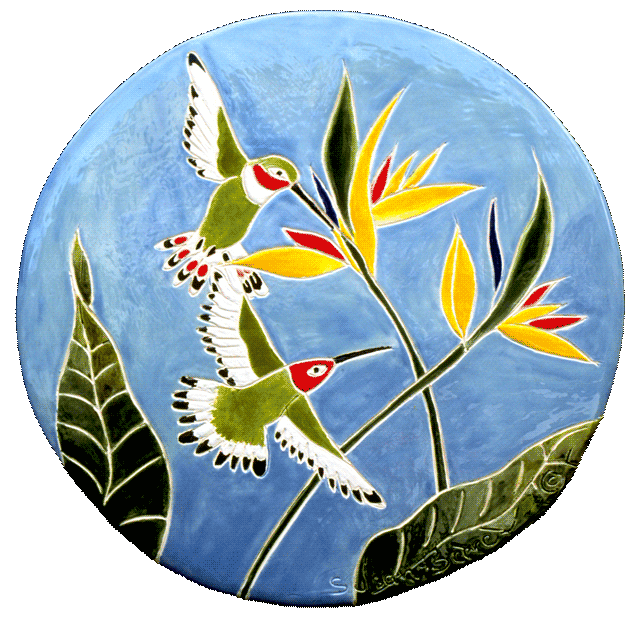 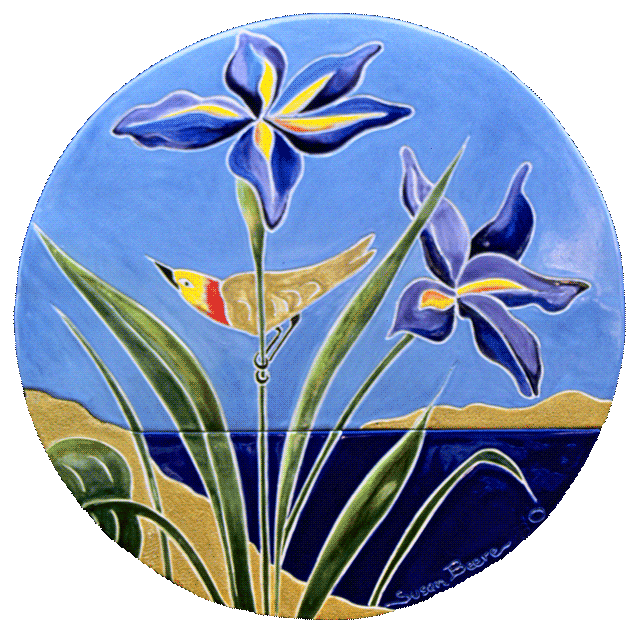 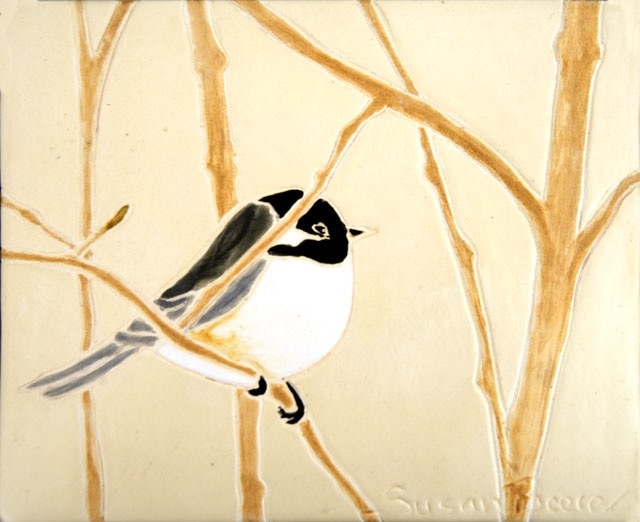 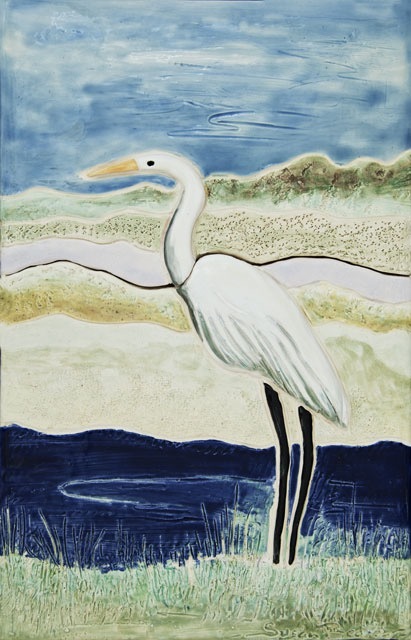 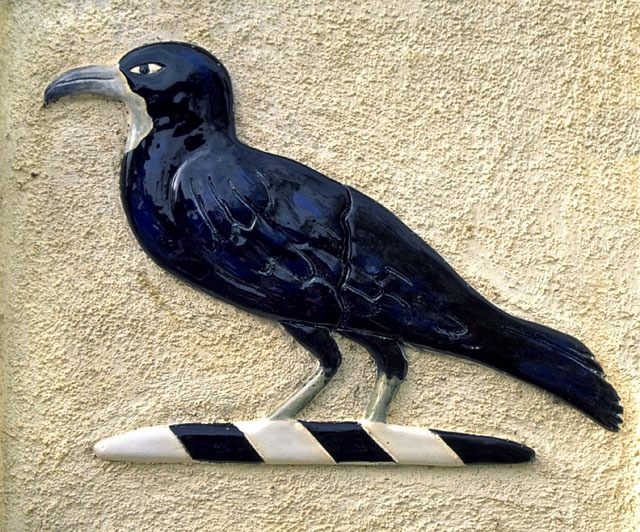 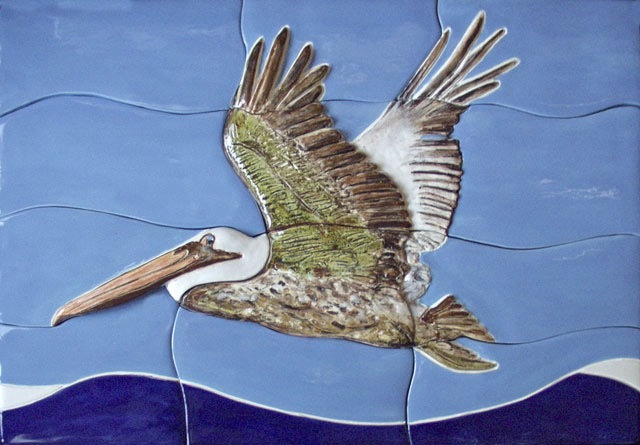 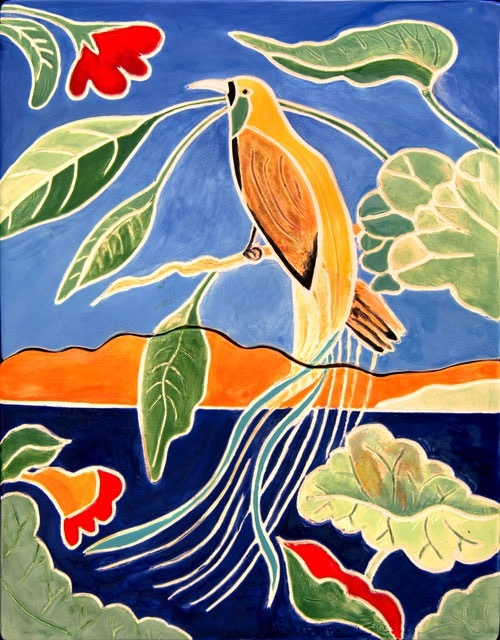 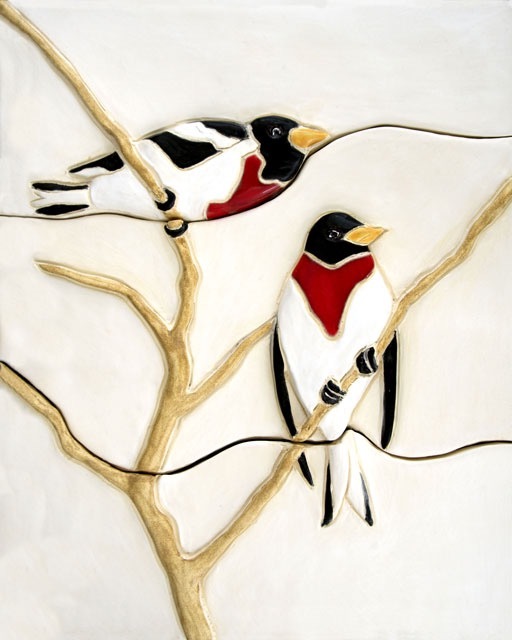 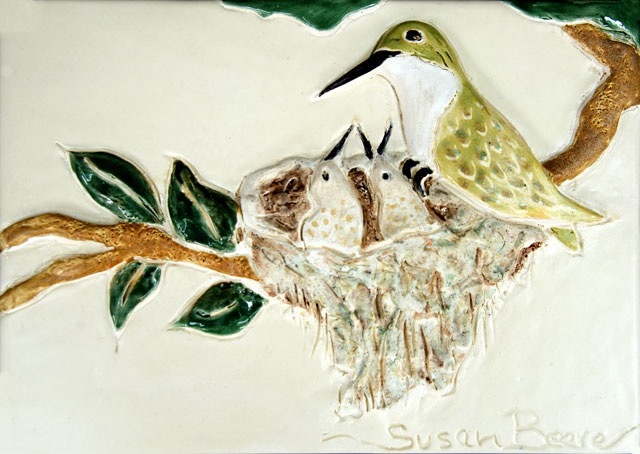 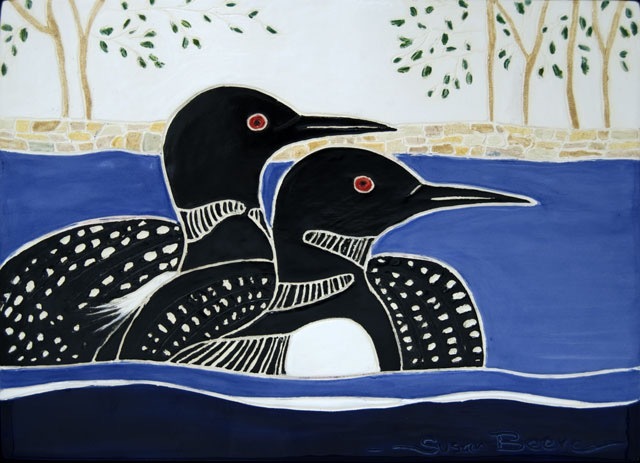 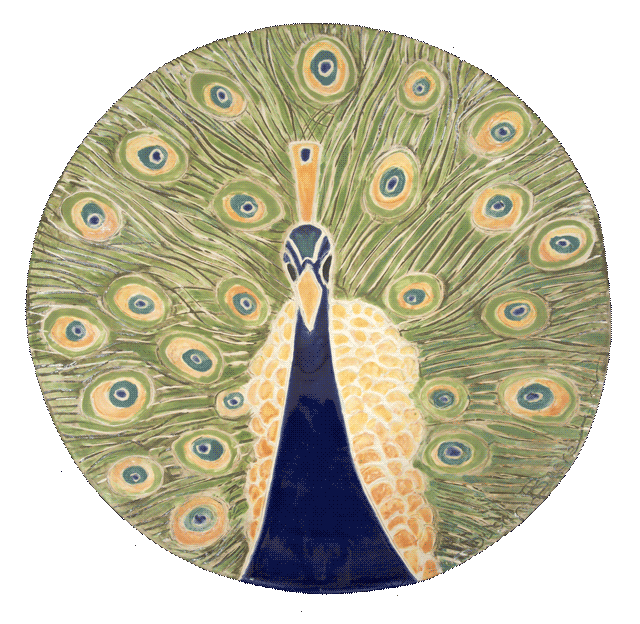 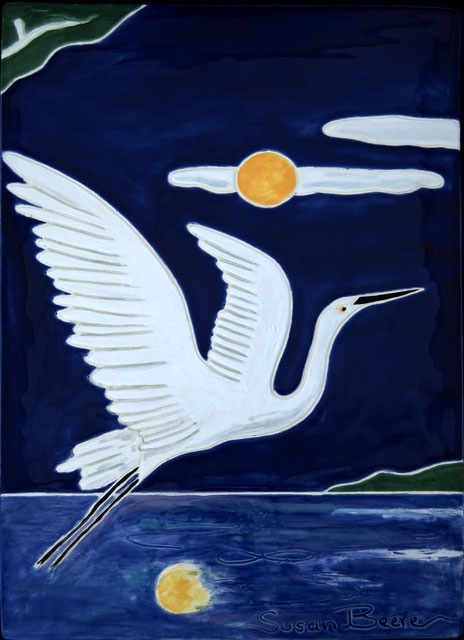 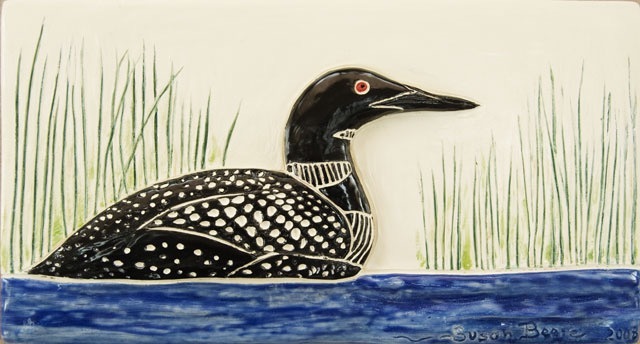 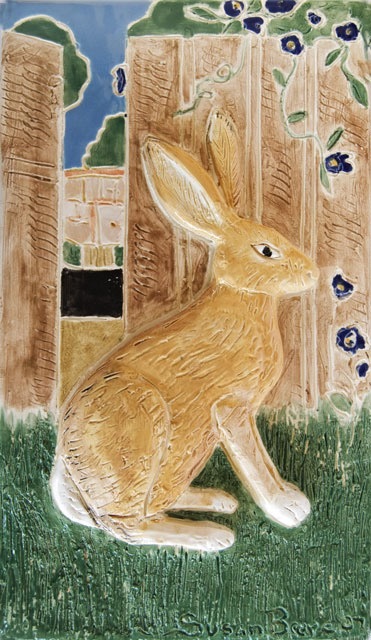 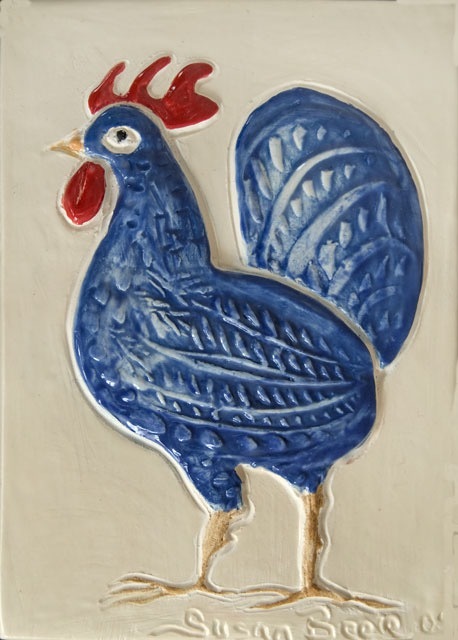 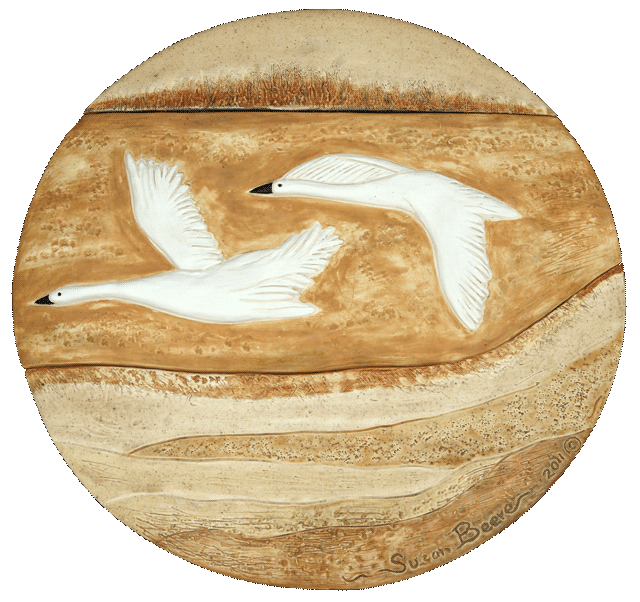 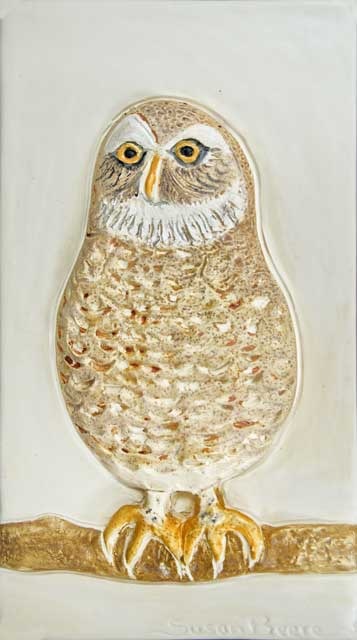 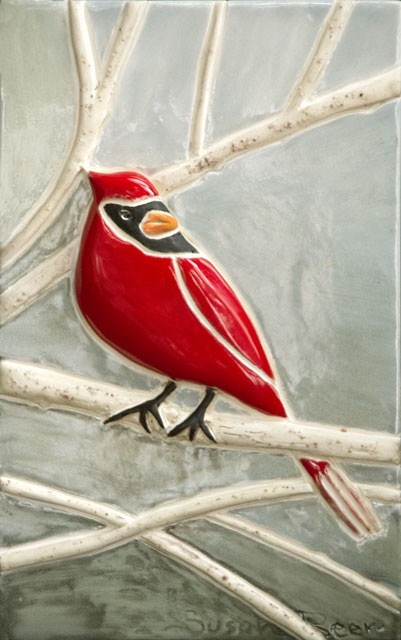 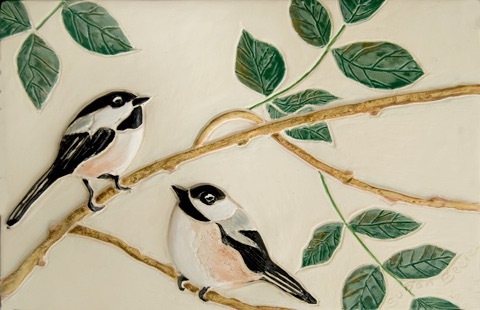 Whether small tiles or larger panels or murals, bird art fits anywhere - home, office, public area. 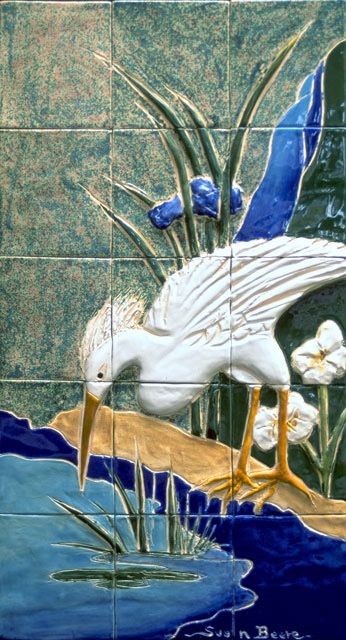 Some of these examples are larger panels, others are small accent tiles that are usually mounted for the wall. 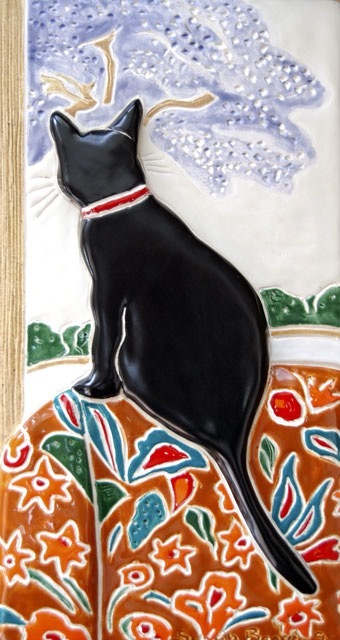 These are all one-of-a-kind.